TaxAid is a charity that helps people on low incomes when they get into difficulties with their tax affairs. TaxAid helps people on low incomes to understand the bits of the tax system that apply to them (safely ignoring the confusing 98% that don’t), pay only the right amount of tax and help them resolve crises when things go wrong. TaxAid was set up by tax professionals who were concerned that people on low incomes were suffering significantly because they could not afford tax advice. There was evidence that people were being made bankrupt unnecessarily on tax demands based on estimated figures; that people had been overpaying tax for years because they didn’t understand the rules; and that unrepresented people did not know how to access their rights of appeal. The need for tax advice has grown significantly since then. There has been a significant increase in the number of self-employed people over the years, and many of them are on low incomes and much more vulnerable than in the early days of TaxAid. Equally there are many more people in multiple employments to supplement their income and so have much more complex tax positions. The demand for help and advice has also grown because the tax system has become much more complex for those on low incomes: there are consequently more “casualties of the system”. This includes late filing penalties, the greater focus on compliance activity and tightened practices on debt collection. All these changes are harsh for those on low income. TaxAid runs a national helpline, and provides face-to-face services in London, Manchester, Birmingham, and Newcastle upon Tyne. We also give advice via email. For information on how we may use your personal data please refer to our PRIVACY STATEMENT. The Rt. Hon. Lord Hodge, Justice of the Supreme Court of the United Kingdom. 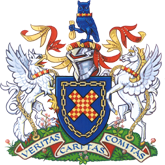 For further details of how we are governed and run, the most recent Annual Review can be accessed here – Annual Report 2018. Address: Unit 2, 33 Stannary Street, London SE11 4AA. People who choose to remember TaxAid in their Wills are truly special individuals. They understand that the promise of funding many years into the future is crucial in enabling TaxAid to continue to bring peace of mind to people on low incomes. Leaving a legacy in your Will to TaxAid is your chance to help us to continue our important work, without using up any savings you may need for your retirement years. What is more, as legacies to charities are exempt from Inheritance Tax and Capital Gains Tax, more of the value of your money will be spent in the way that you decide. Your legacy could take many different forms, and your personal circumstances will determine which type of legacy gift is best for you. Please talk to your solicitor about the different types of legacy you can leave, and ask him or her to include a legacy of your choice to TaxAid, or Click here for more information.